We are a Grace Baptist Church who started meeting together in 2010 in Chatteris. We have sister churches in nearby towns such as March, Ramsey and Warboys as well as others in Cambridgeshire and beyond. 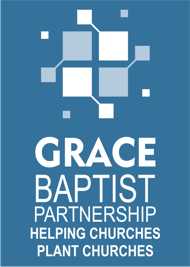 Our Church is also a member of The Grace Baptist Partnership of Churches which seeks to plant new churches and revive existing ones. As Church members, we have this in common, our lives have been changed by God through Jesus Christ. We all want to live for God and please Him, rather than ourselves, because we have all experienced His great love. God sent Jesus to this earth in the most marvellous act of love the world has ever seen. Jesus died a cruel death in our place. He took the guilt and punishment for our sin and brought us into a new, real and living relationship with God. That’s why we meet together to thank Him, and hear from the Bible how He wants us to live. Our worship meetings are conducted in a respectful, ordered and God-honouring way, with a warm, welcoming and friendly atmosphere towards those who attend. We do not take up a collection at our services. Visiting homes in Chatteris, seeking to introduce ourselves as a Church, we have been asked various questions. To see those and our short answers please visit our Questions page. For further information on our beliefs please see: What we believe. You can also use our Contact page to ask our Pastor questions.